Wednesday, March 20th marks the first official day of Spring 2019. With spring comes the emergence of spring flowers and gardens, erupting in a flood of color and freshness. Check out our list of the best places to take in the blooms, from D.C. to Paris and beyond, below. 1. The Cherry Blossoms in Washington, D.C.
A little background on these famed spring flowers: the cherry blossom trees which bloom each spring in D.C. were given as a gift to Washington by Tokyo in 1912. 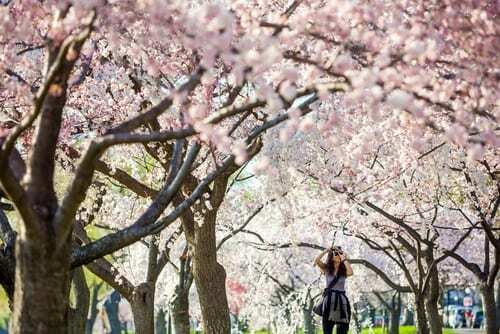 To get the biggest bang for your buck, visit the capital during the National Cherry Blossom Festival, which runs through mid-April with a grand celebration and parade on Saturday, April 13. While a visit to Paris often involves a lot of time indoors, what with museums like the Louvre and Musee d’Orsay. 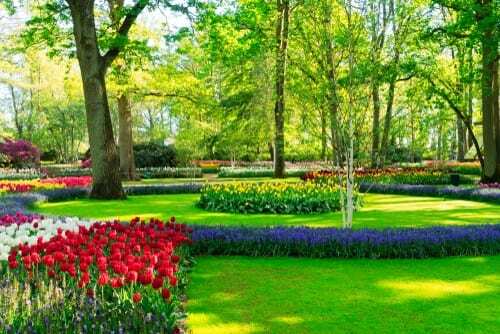 However, don’t forget to spend some of your time perusing the grounds of these museums and the other gardens and flowers scattered throughout the city. 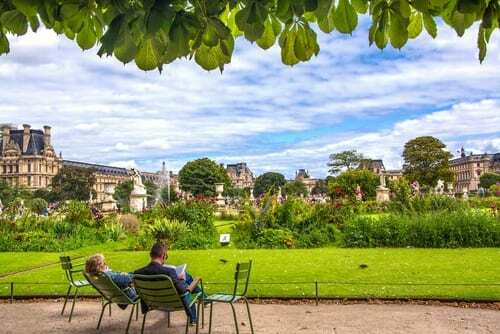 At the Louvre, check out the Carrousel Gardens and Tuileries. Wander the fragrant and vibrant paths and take in the stunning landscapes. For the best of spring flowers, head to the Luxembourg Gardens in Versailles. You can take an easy day trip to Versailles from Paris to see this spectacle. 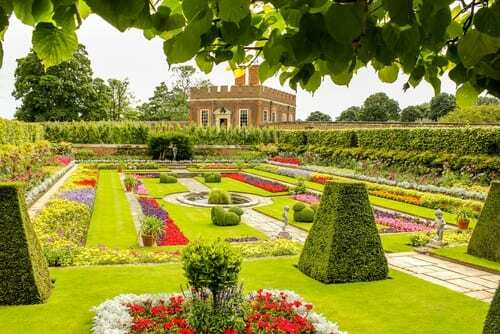 Hampton Court Palace can be reached by boat from central London and offers some of the most gorgeous spring flowers in the U.K.. Plus, Hampton Court Palace itself is one of the most spectacular royal palaces in the world. Spend a day admiring the flower gardens and get lost in the charming garden maze if you dare. Phoenix may not be the first place you think of when it comes to spring lowers. 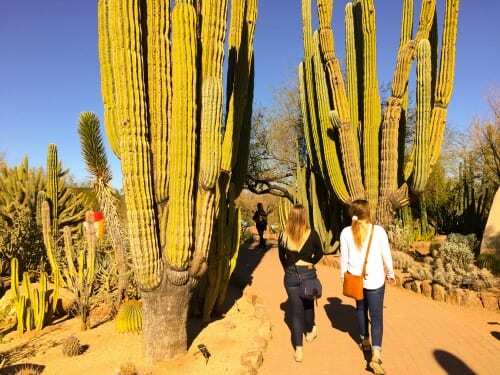 However, the unique Desert Botanical Garden in Phoenix, Arizona includes over 4,000 species of succulents and other desert plants. You will see some flowering cacti as well! Marvel at these prickly plants year-round, but especially in the spring time between March and May. Not only is it gorgeous, but the garden promotes education, conservation, and protection of the Sonoran Desert plants. Crested Butte is located in the West Elk mountains of Colorado. It is known for gorgeous alpine views and popular with ski enthusiasts from all over the world. If you can’t get out of town in early spring, you’re in luck! 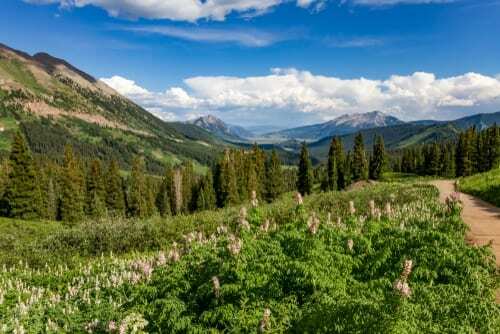 Crested Butte’s annual Wildflower Festival is a week-long celebration in July. You’ll get to witness the town’s hillside trails come alive with gorgeous pink, orange and gold flowers. In addition, if you can make it up to the higher elevations you’ll get a glimpse of the marvelous alpine sunflowers. Each of these sunflowers bloom only once in their entire lifetime. As one of the wettest places on earth, Kauai’s Lawa’i Valley offers extraordinary spring flowers. Head to the McBryde Garden Biodiversity Trail for a unique experience. 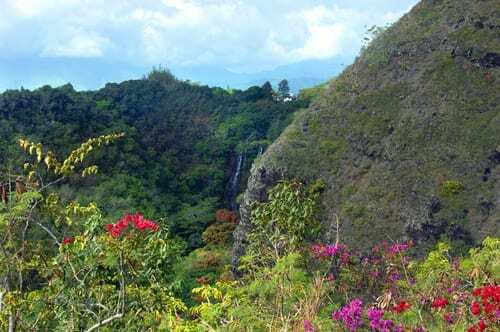 Here, walk through an 80-foot tunnel and onto a 10-minute hike where you’ll see tropical fruit orchards, vibrant coral red trees, and unique pua kala blossoms. Though Paris and Versailles offer their own gorgeous spring flowers, the town of Giverny in France should not be missed either. 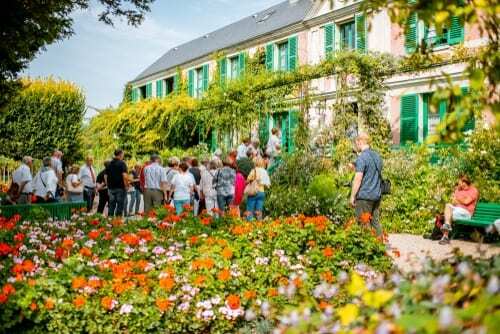 Here you can wander around Claude Monet’s home, though you cannot go inside. However, around the stone house you can witness the footpaths lined with nasturtiums and other flowers. In addition, the stunning water-lily pond on the property is reminiscent of Monet’s artworks. In fact, Monet designed and tended to these gardens and the pond himself in the late 1800s. You can expect stunning flowers of purple, white, gold, and red. For a breathtaking sight, head the surreal tulip festival in south Holland. The festival lasts for two months each year, from mid-April to mid-May. In addition, you’ll get to marvel at the 2,700 square-foot tulip mosaic in the likeness of Vincent Van Gogh’s face. To book your own trip to one of these destinations with stunning spring flowers, contact us at 402-390-9291.